Sherri Westin, President of Global Impact and Philanthropy for Sesame Workshop, accepting the award. 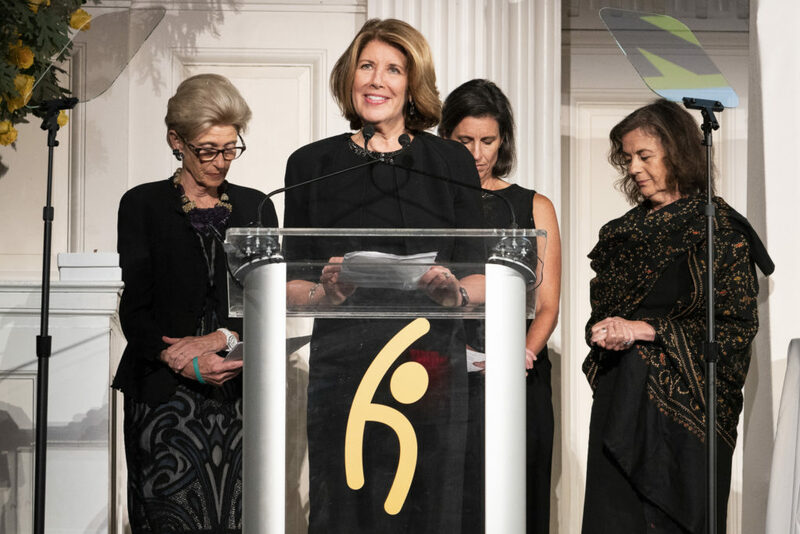 The Annual Global Hope Coalition Dinner awarded the International Rescue Committee and Sesame Workshop a joint award for a 100 million-dollar project funded by the MacArthur Foundation to address early childhood education of Syrians displaced by the civil war. Sherri Westin, President of Global Impact and Philanthropy for Sesame Workshop, accepted the award on behalf of the organization. The Sesame Workshop is the nonprofit educational organization behind Sesame Street that helps “kids grow smarter, stronger, and kinder.” The Sesame Workshop works in over 150 countries, with numerous initiatives all over the world including the Middle East and North Africa. They teach young children a range of topics, from literacy and numeracy to respect and understanding. Studies show that preschoolers who watch Sesame Street do significantly better on a whole range of cognitive outcomes —than those who don’t. With their track record of success, the Sesame Workshop is a deserving recipient of this award.